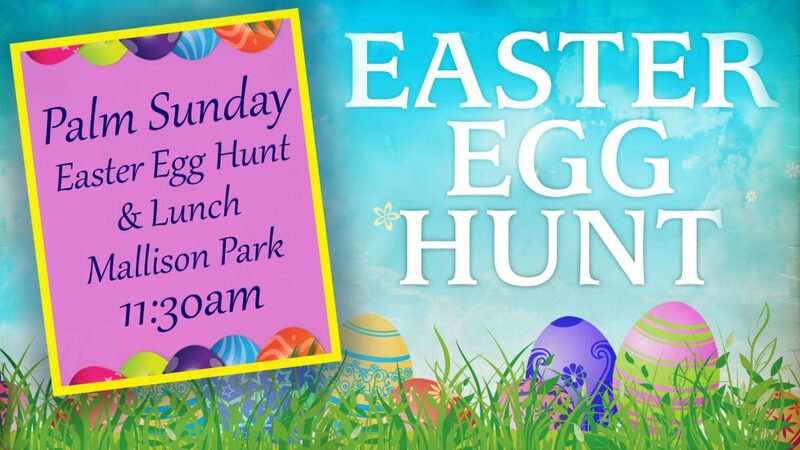 It is time for our annual Easter egg hunt and lunch at Mallison Park on April 14. If your children are participating, please bring 20 plastic eggs per family filled with candy on April 7. The egg hunt will happen immediately after the service and there will also be a congregational lunch. If you have any questions please email waddison@christchurchintown.org.